How did we miss Grimlock wearing a Garbage Truck??? welp, so that confirms that the battle armor sets are scout size, except for megs, optimus, bee, and grimlock which is deluxe size. definitely digging that grimlock tho. and the garbage truck armor is hillarious and awesome at the same time. Garbage truck armoured Grimlock is kinda adorable. These are genuinely adorable designs. They’re really growing on me. If they weren’t such simple toys, I’d probably have to start collecting them. Luckily for my wallet, they aren’t aimed at my collecting tastes. All the same I can’t deny that there’s something appealing to the kid in me in this line’s aesthetic. I haven’t had much of a reason to post on this forum since my only Cyberverse figure so far is the bigger Shockwave, but I had a rough work day and found grumpy warrior Prowl at Fred Meyer on my way home. Looked in about the same mood I was in so I took him home with me. He’s pretty fun! Not perfect of course, but I didn’t expect him to be. He’s got a non-intrusive gimmick (thank god), decent enough articulation and his head can even turn! Several steps ahead of wave one. I think he’ll end up on my IDW shelf, he looks just angry enough to be the same guy Chromedome threw off a cliff. I hope more Cyberverse figures can keep up this quality, I haven’t even been tempted to buy a single other toy besides the two I have. Had an interesting encounter at Canadian Toys R Us. >Shopping in the TF section. Nothing interest me. >5yo boy with his mom, choosing some TF for himself. >Look in their cart, see 2 Studio Series figures (of course) and the big Cyberverse Optimus. >Advise against the SS because too complicated and too fragile for his age. >Kid only had a "shampoo bottle" and some 1step before. 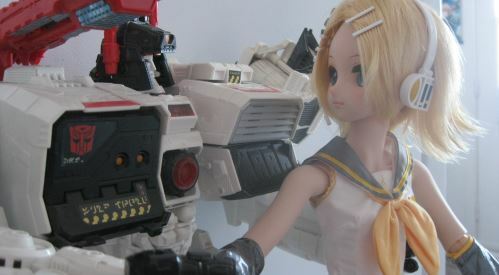 >This 5yo boy want Transformers that transform and most importantly, GOOD ARTICULATION POINTS! >Tell them that the big Cyberverse Optimus is a great choice. Need a second one because of the sale. >Under my suggestion, end up getting Cyberverse Ultra Shockwave because cyclop alien that turn into a spider with "hidden 5th leg magic" is mega cool. >Despite the beehive present, no Bees pleased him. This 5 year old kid is already "one of us"! -Kanrabat- wrote: Had an interesting encounter at Canadian Toys R Us. Sounds like his mom’s raising him right! Wrong thread? Or where you meant to mention the Spark Armour Cheetor? Not that new but spotted Wave 3 Warrior Class Prowl at a local Target. It was a first for me to see, so not sure how many have been spotted. The question is: will it be any good? Courtesy of the Facebook page of In Demand Toys, we have a picture of the upcoming Alpha Trion figure from the Ultra Class of Transformers: Cyberverse. This will be the first wave of Ultra Class figures in the line to have the new "Power of the Spark" imprint. The packaging calls out the "Laser Beam Blast" play feature of the toy which deploys a pair of double-barreled laser cannons on either side of Alpha Trion's starship alternate mode. Alpha Trion himself looks nice and bulky, befitting of his role in the ongoing animated series. Unfortunately, In Demand Toys will NOT be stocking this particular figure, so you'll have to look elsewhere to pick this figure up. Take a look at the picture below and behold Alpha Trion in all his royal purple majesty! 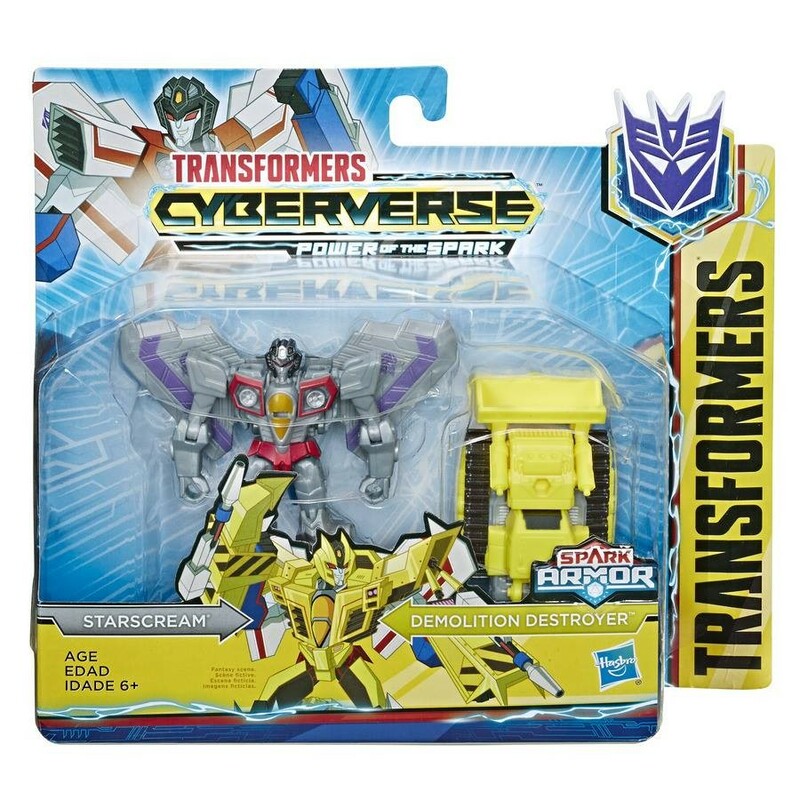 Have you been collecting the Cyberverse line so far? Will you be adding Ultra Class Alpha Trion to your Aubtobot ranks? Let us know in the comments below, and stay tuned to Seibertron.com for the latest news on all things Transformers. Well, the line's still young. And if I'm not mistaken, Siege is just the 1st part of another trilogy. I'm sure Alpha Trion's popular enough to warrant another figure. But you're right, a version similar to this in the Siege style would look pretty good. The Cyberverse line is easily the most ignored current Transformers line by fans. Which is ironic since it is probably the one ordered in highest quantities by retail stores. It is also ignored in the video review circuit but we have some below from fellow Seibertronian Chuckdawg 1999.
chuckdawg1999 wrote: Hot Rod and Wheeljack are fun additions to the One-Step sub-set of the Cyberverse line. Both feature a fun weapon gimmick and in the case of Hot Rod, one that works better than the larger scale toy. Each figure makes for a fun desk toy and enjoyable addition to any collection. 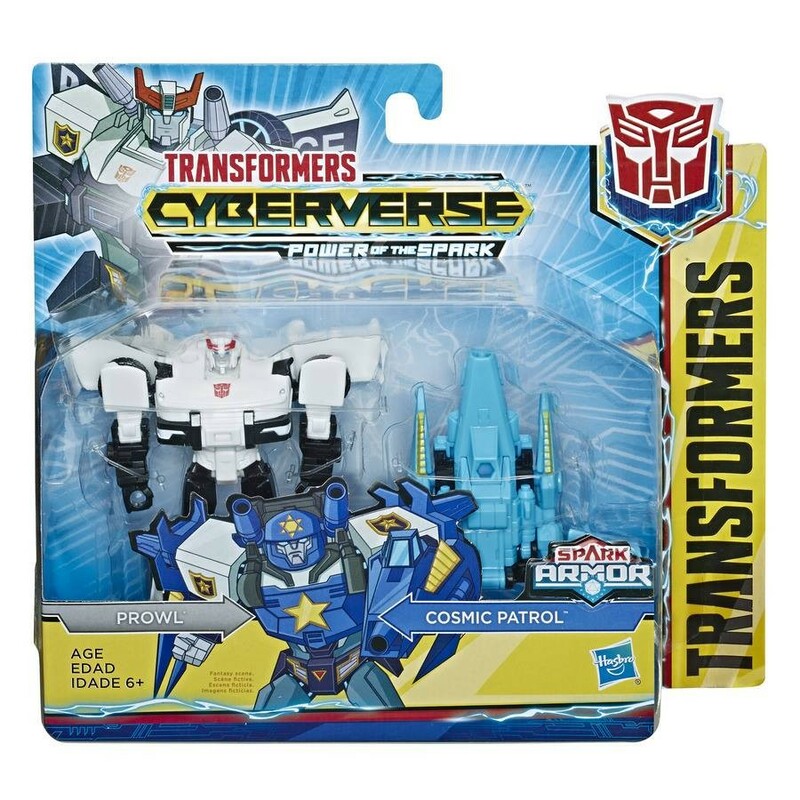 chuckdawg1999 wrote: Most collectors have ignored the Scout Class line from Cyberverse which is a shame since they're fun figures. Ratchet draws heavily from its RID look with a slight nod to G1. The gimmick of a tow hook is fun but a little confusing since it doesn' really fit with the character. Overall Scout Class Ratchet from the Cyberverse line is a fun figure and worth a look. chuckdawg1999 wrote: While the Scout Class in the Cyberverse line is one of, if not the most polarizing sublines in Transformers history, I enjoy the figures for what they are. Shadow Striker features a fun spring-loaded blast effect that kinda reminds me of Mario Kart for some reason. Ultimately, I see most collectors passing on the figure and holding out for a Warrior Class version. 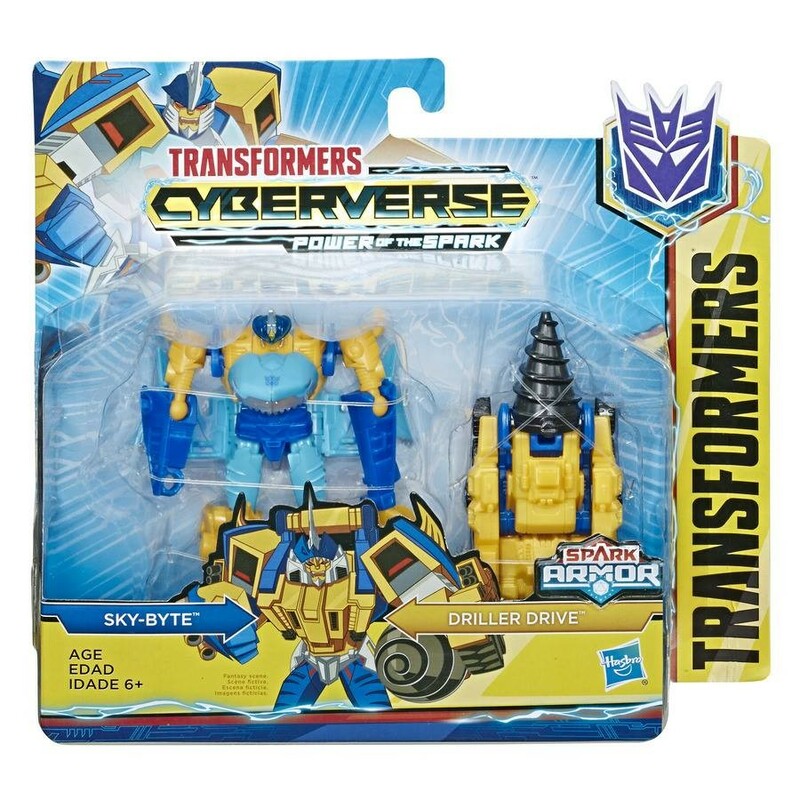 Thanks to the In Demand Toys Facebook page we're getting our first look at stock photos of some of the highly anticipated Cyberverse Spark Armor figures. Under the Power of the Spark subtitle we're looking at three of the four figures found in wave 1 of the new Battle Class. below and let us know! In which Starscream cannibalizes Scoop, Sky-Byte cannibalizes Nosecone, and Prowl cosplays as his Energon self. Shuttershock wrote: In which Starscream cannibalizes Scoop, Sky-Byte cannibalizes Nosecone, and Prowl cosplays as his Energon self. 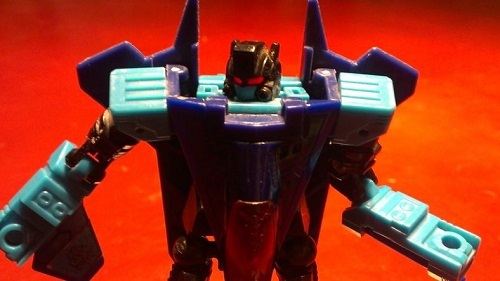 Actually, Prowl looks to be wearing a Triggerhappy fur.